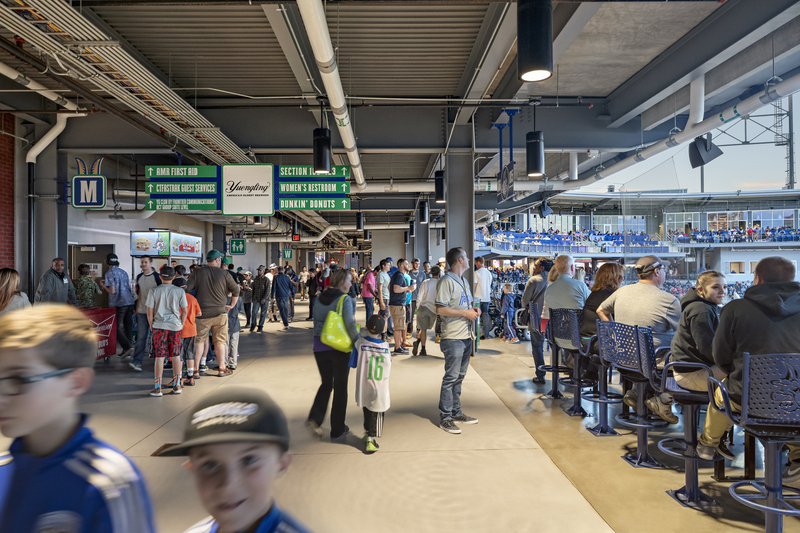 Playing around with LED boards and double-sided concourse/green space…”spare no expense”. 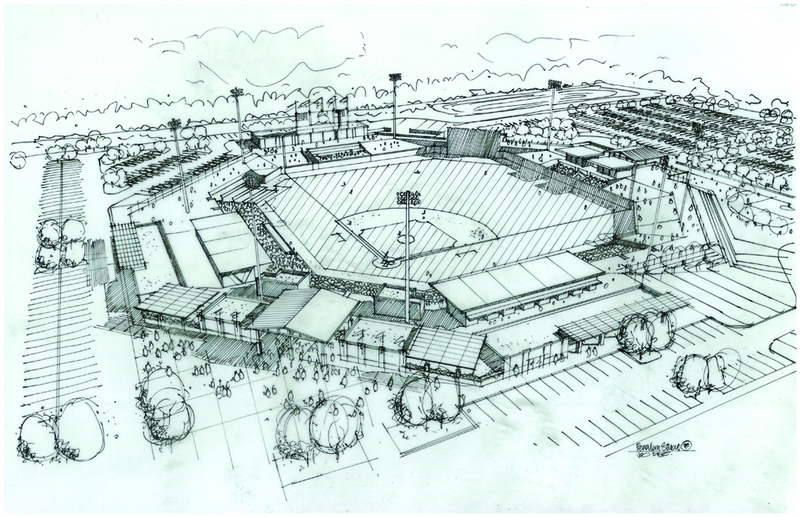 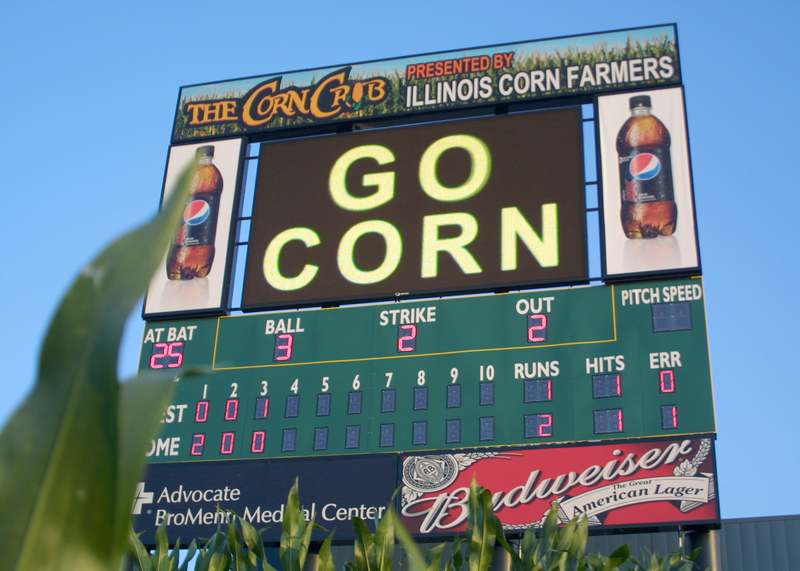 Our message at the 2010 Baseball Winter Meetings was pretty direct – “The ballpark of the future will be smaller, multi-purpose, economically and environmentally sustainable.” The proposed new ballpark for the Green Bay Bullfrogs is all of the above. 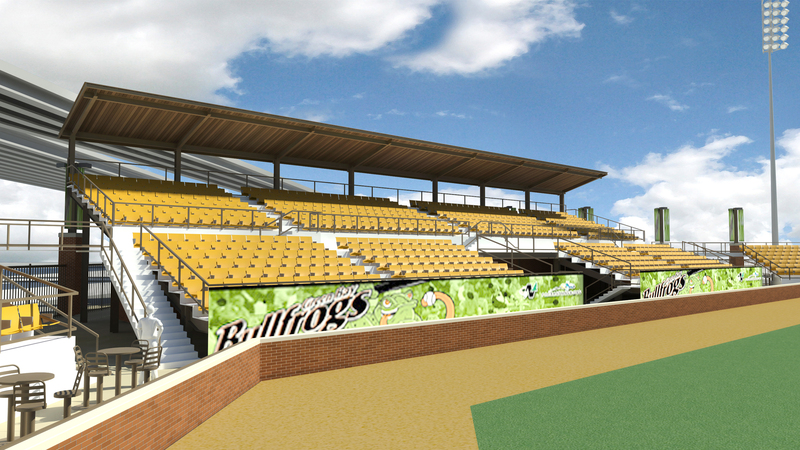 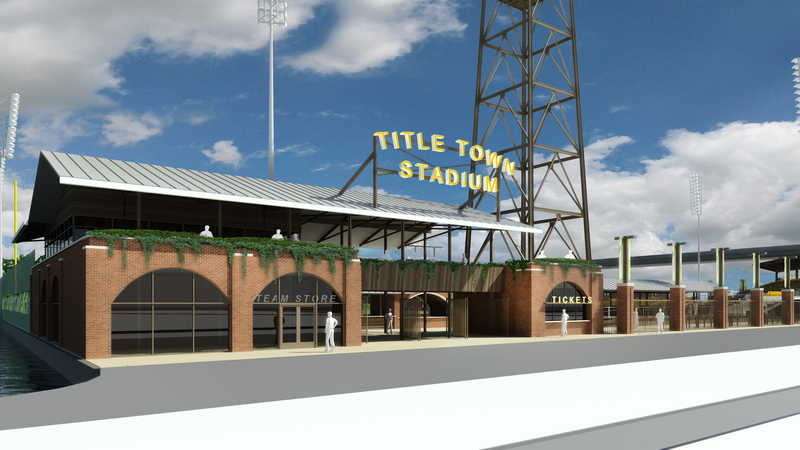 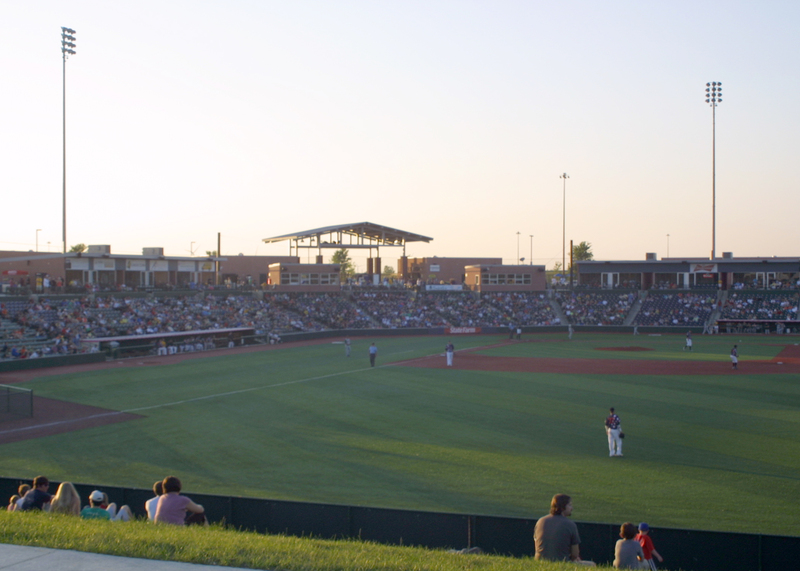 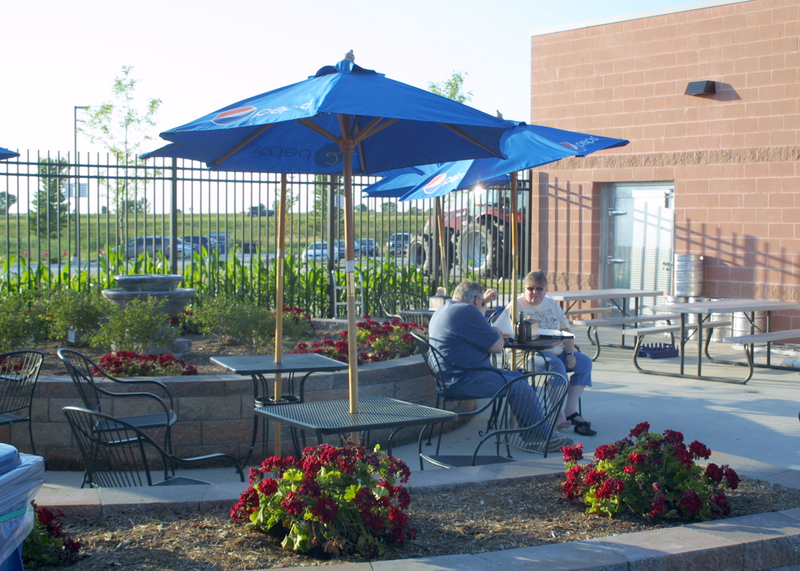 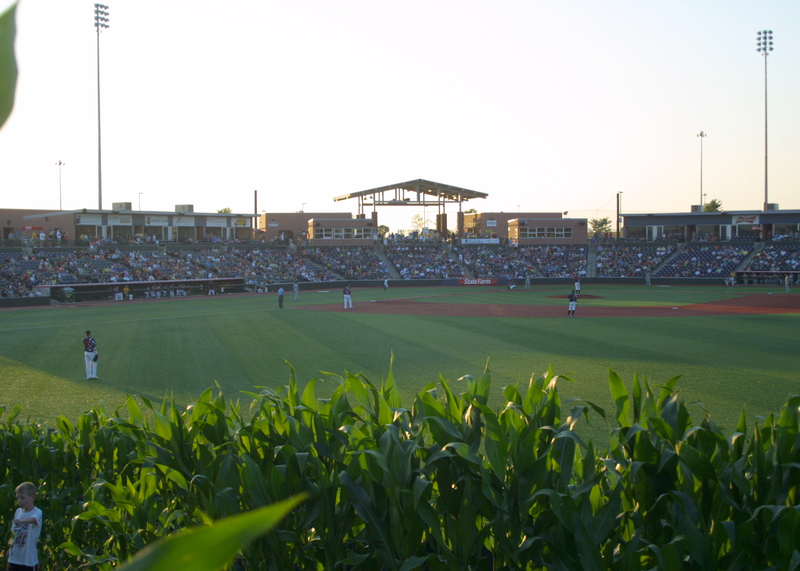 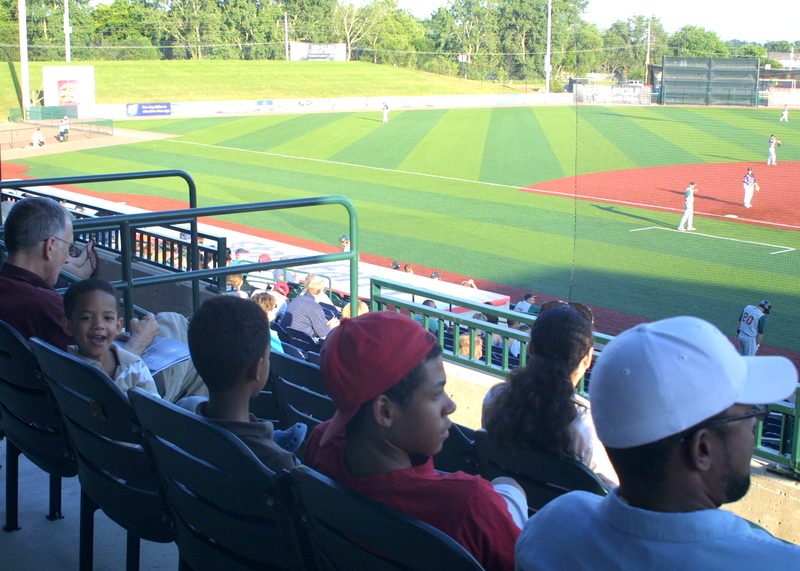 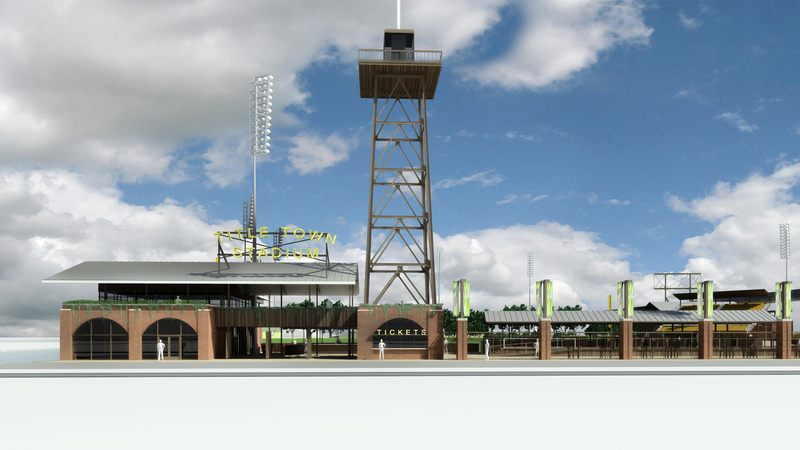 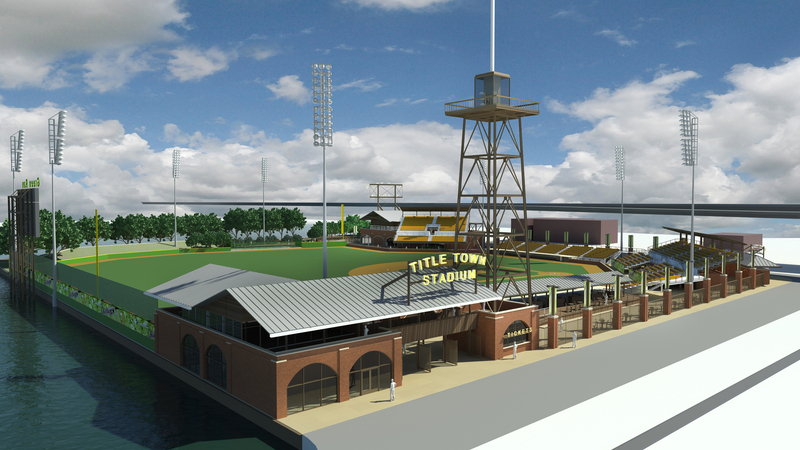 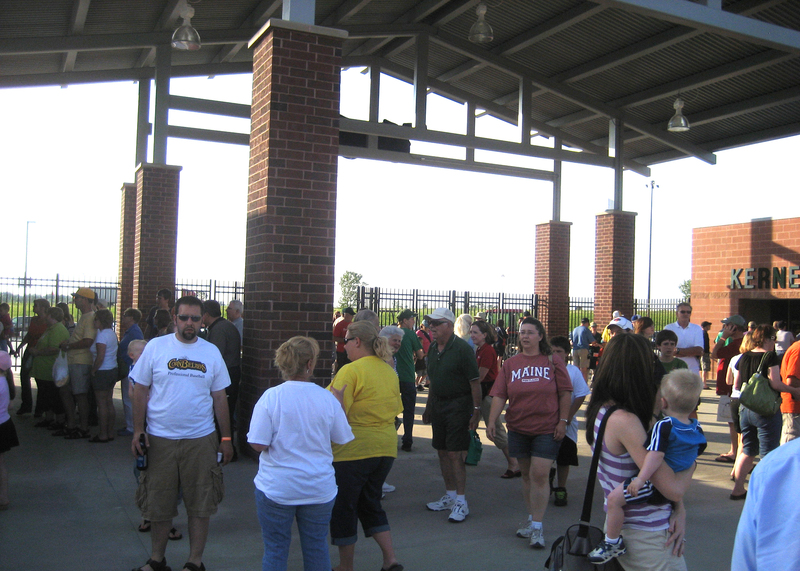 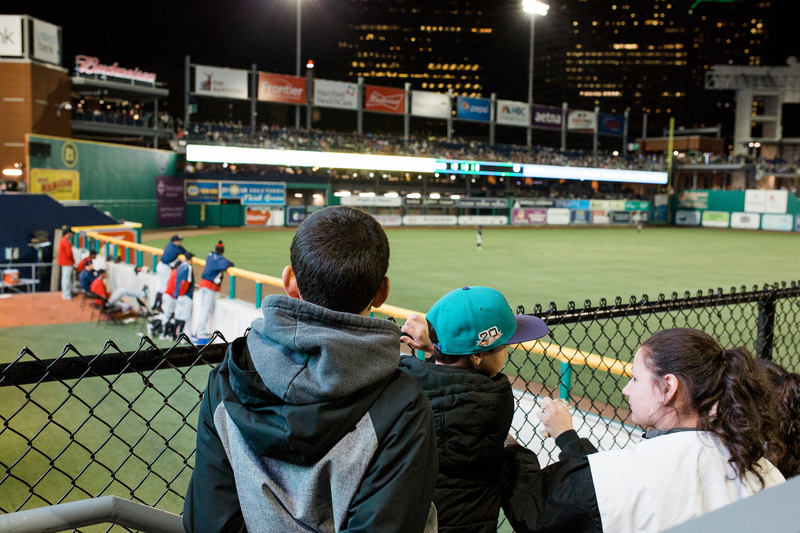 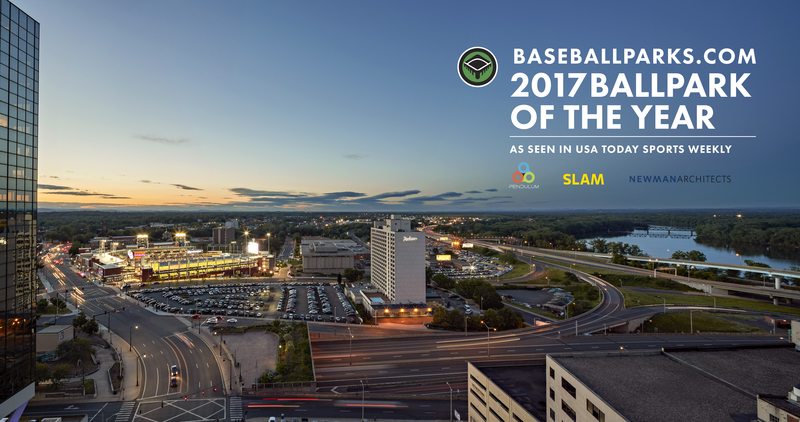 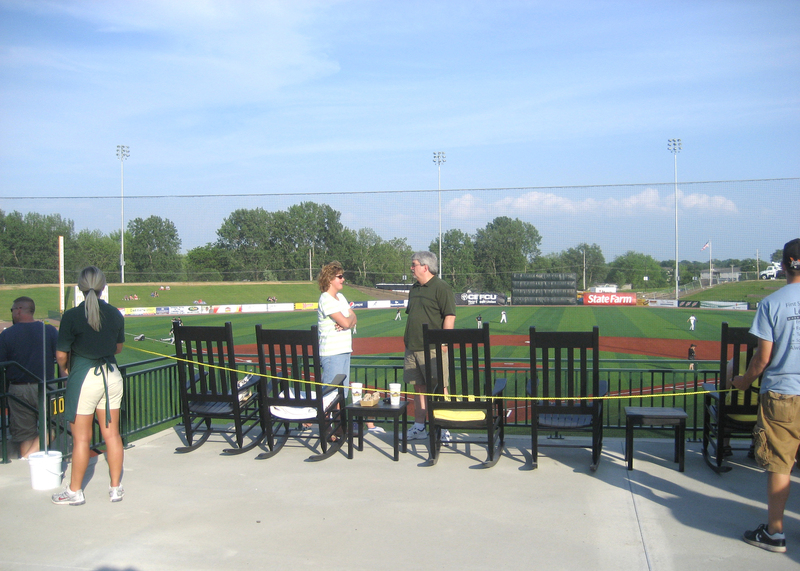 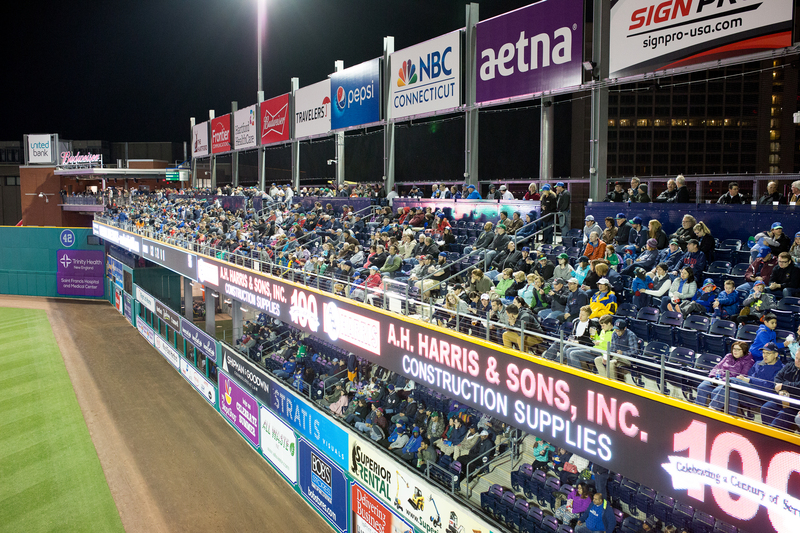 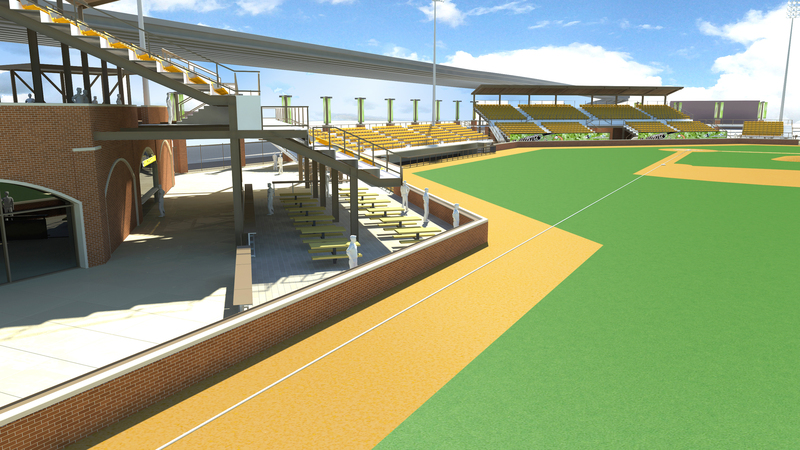 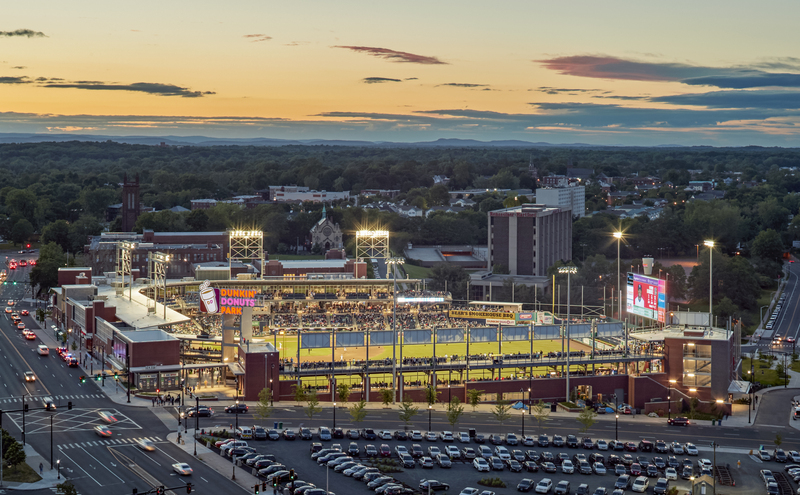 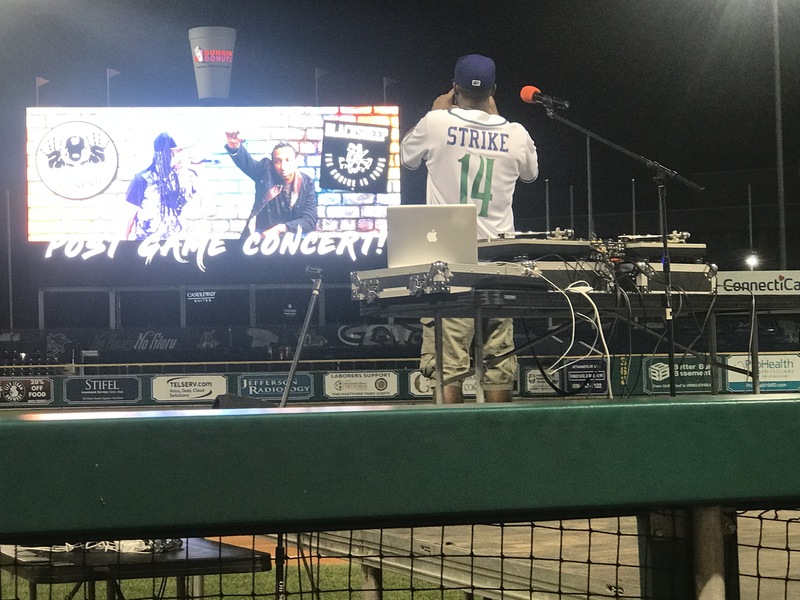 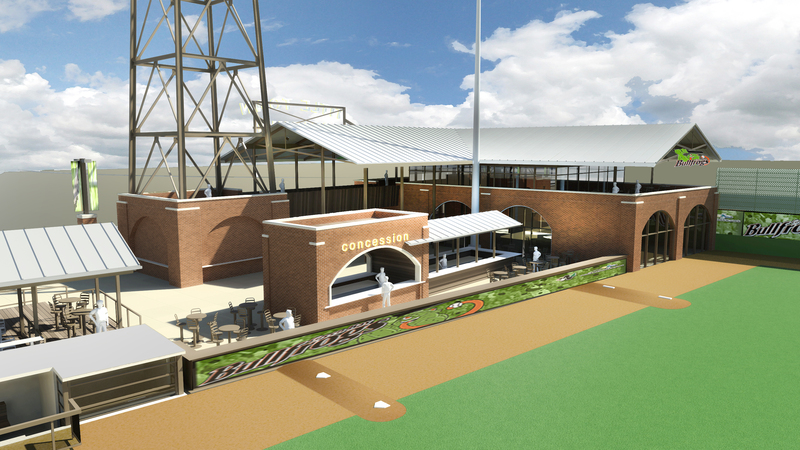 When Pendulum Studio was selected by the Bullfrogs to design the new ballpark, the first order of business was choosing a great site. 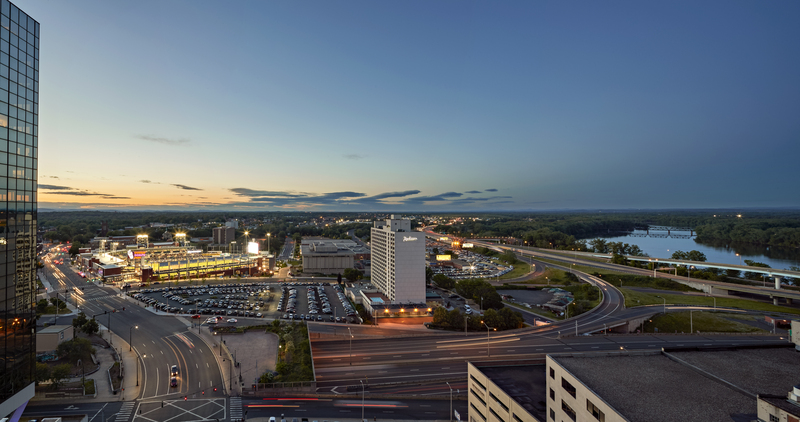 Although there were a number of sites in consideration, when we arrived at this tiny six acre brownfield parcel in downtown Green Bay, we knew our search was over. 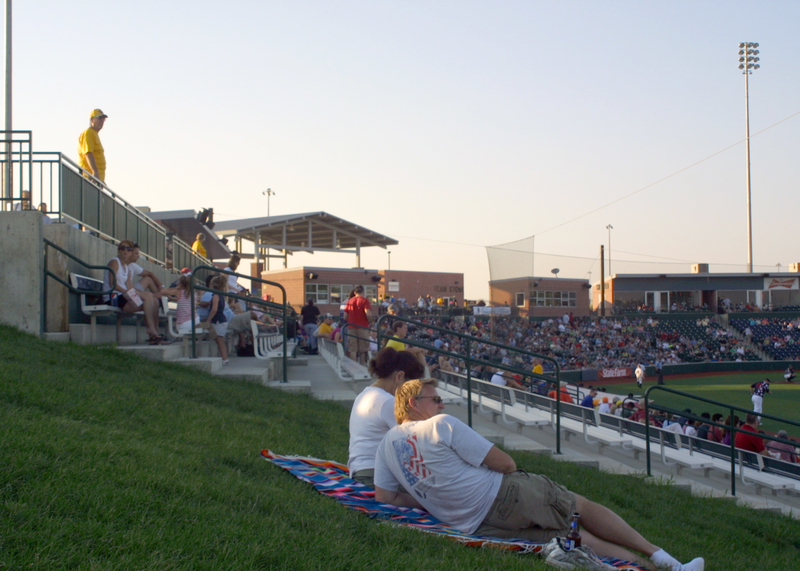 The site is bordered by the Fox River to the East, a 200-foot wide river inlet to the North, and Mason Street bridge to the south. 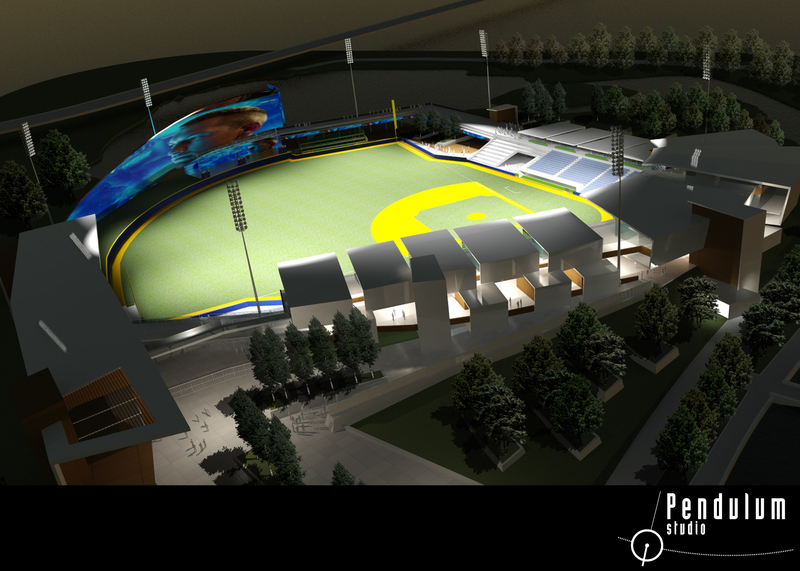 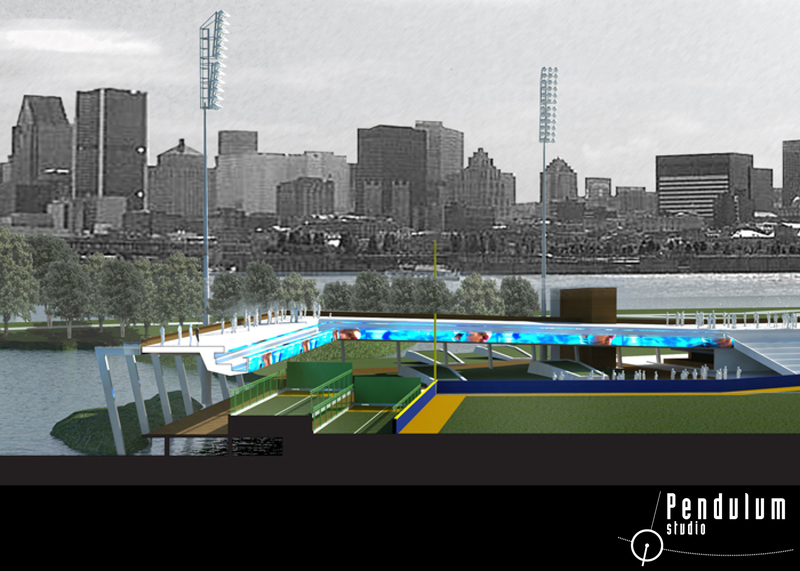 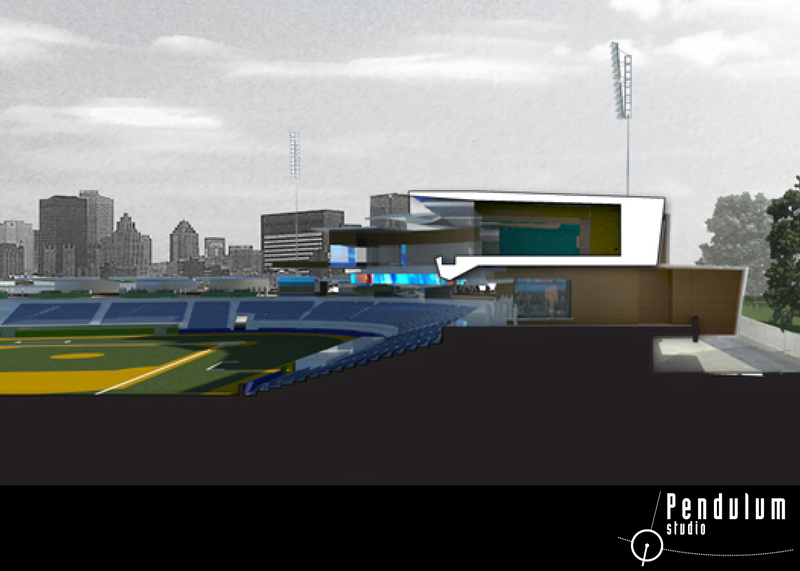 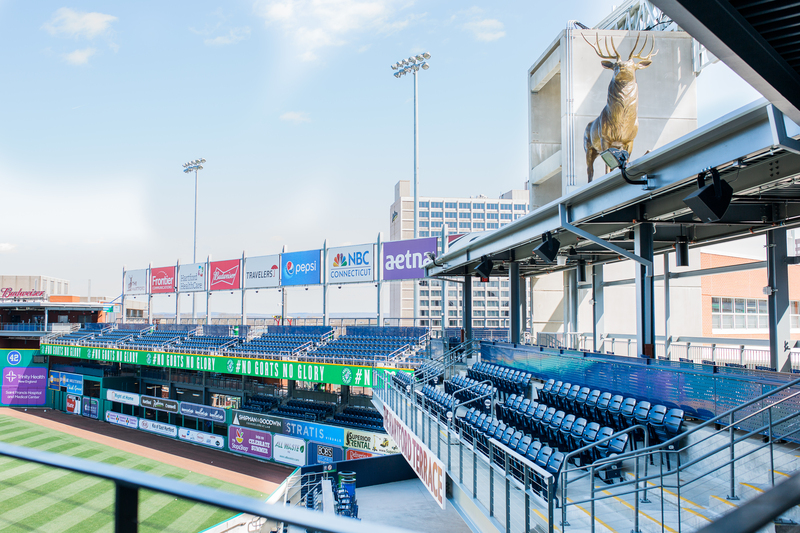 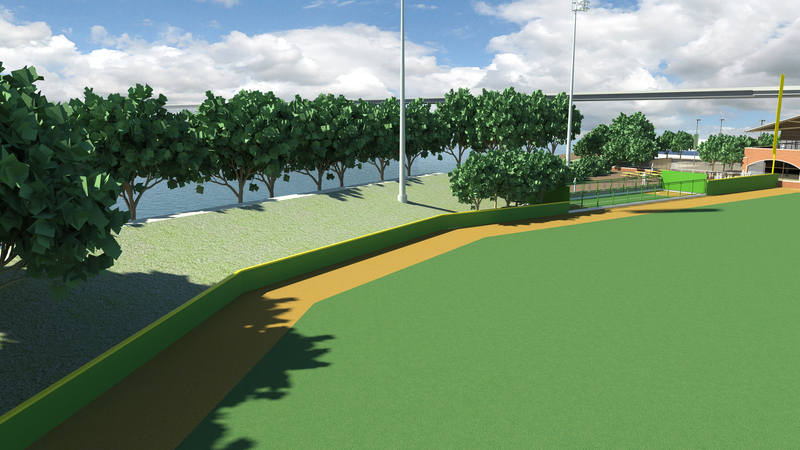 The ballpark design focuses on “right-sizing” the facility to maximize natural site amenities including views to the Fox River and the downtown skyline from inside the ballpark. 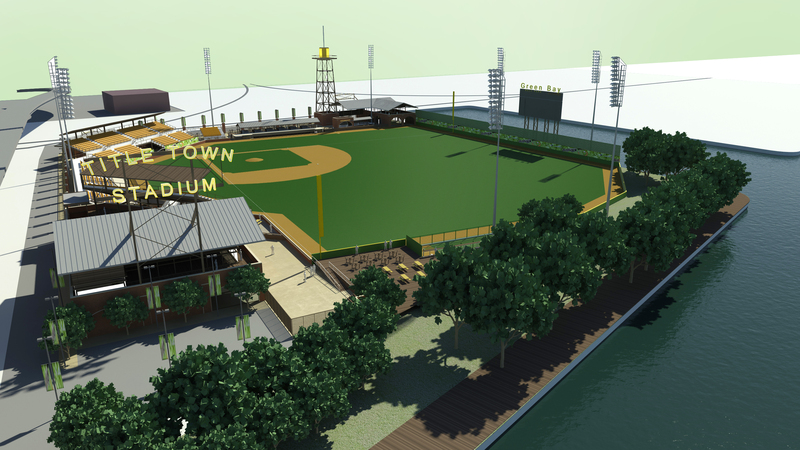 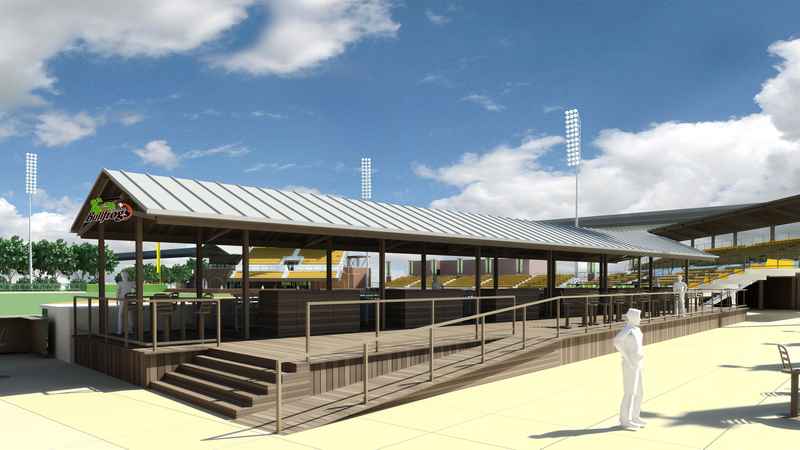 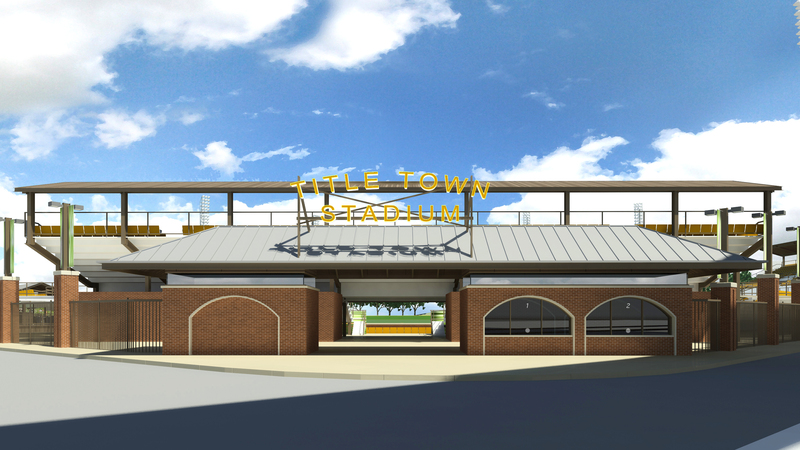 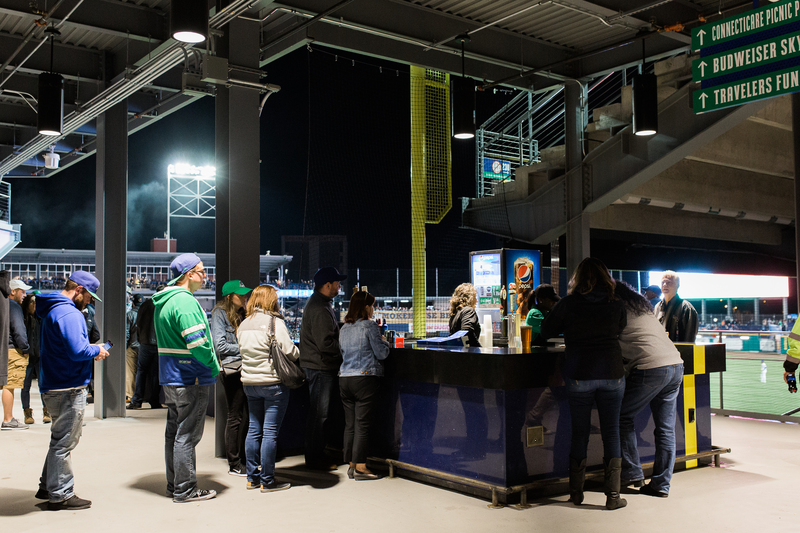 The incorporation of a generous double-sided grass berm, kid’s fun zone, plaza level wood deck, and a second story banquet pavilion encourages community use during game day and non game day events at the river’s edge. 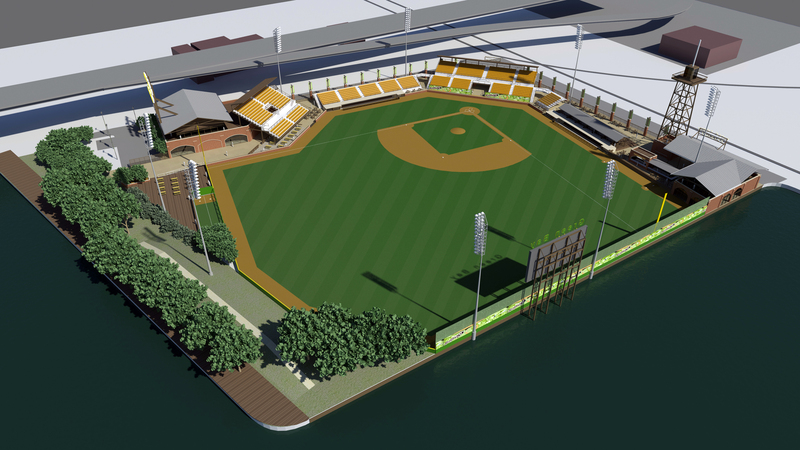 The left field river inlet will feature boat slips in a second phase to accommodate game day boat traffic and a “boat-up” drive-in movie screen attached to the back of the scoreboard. 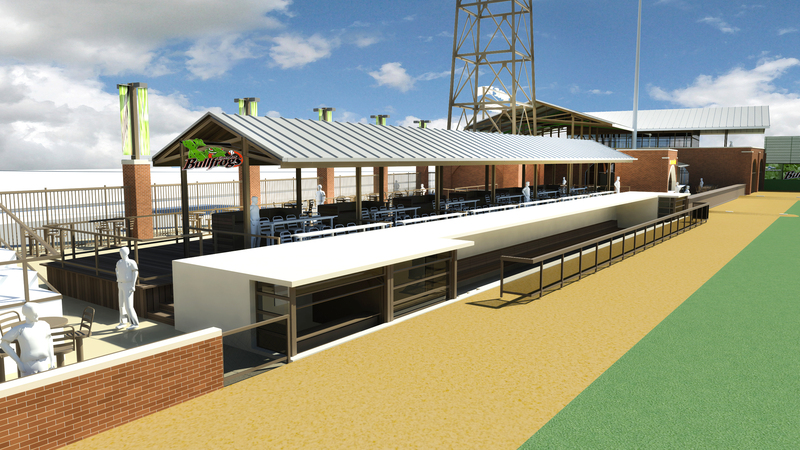 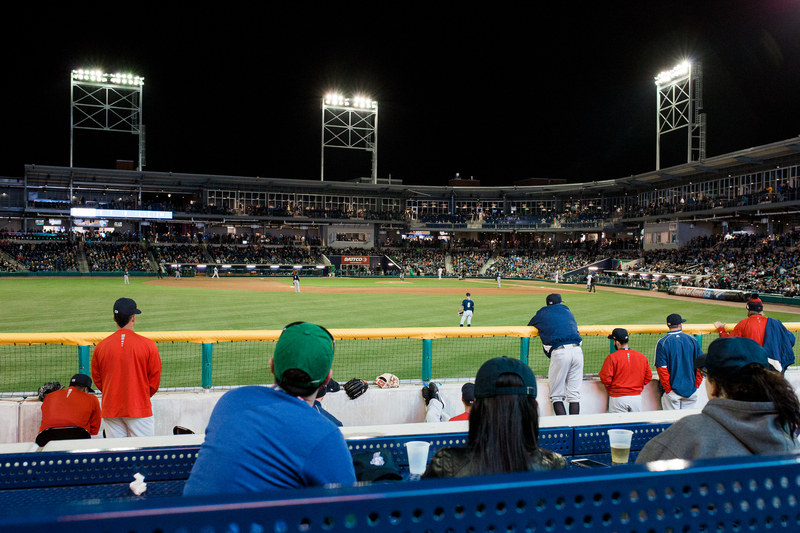 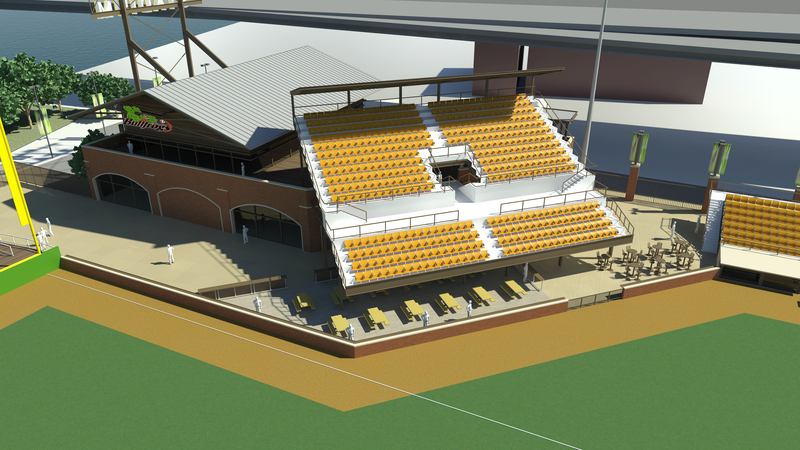 As fans pass through one of three secure entry points pictured above, they will have the option of enjoying ballpark features that include the bullpen bar down the left field line, loge boxes behind the left field dugout, dugout club seating behind home plate, and the Bullfrog upper deck down the right field line. 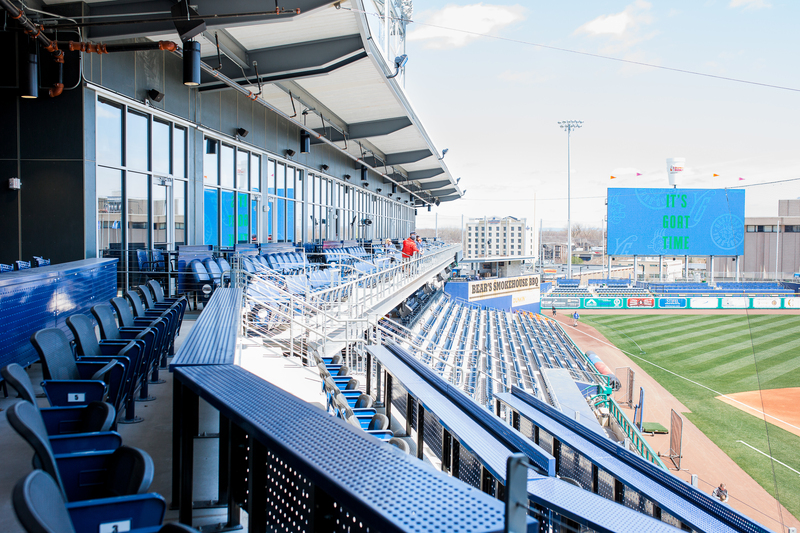 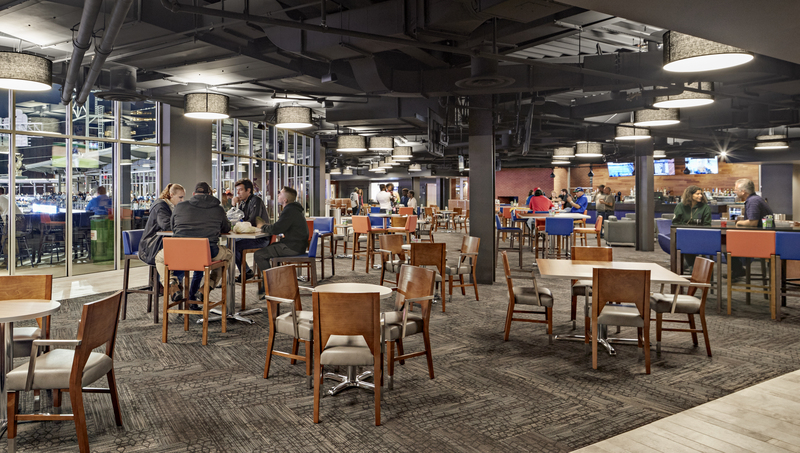 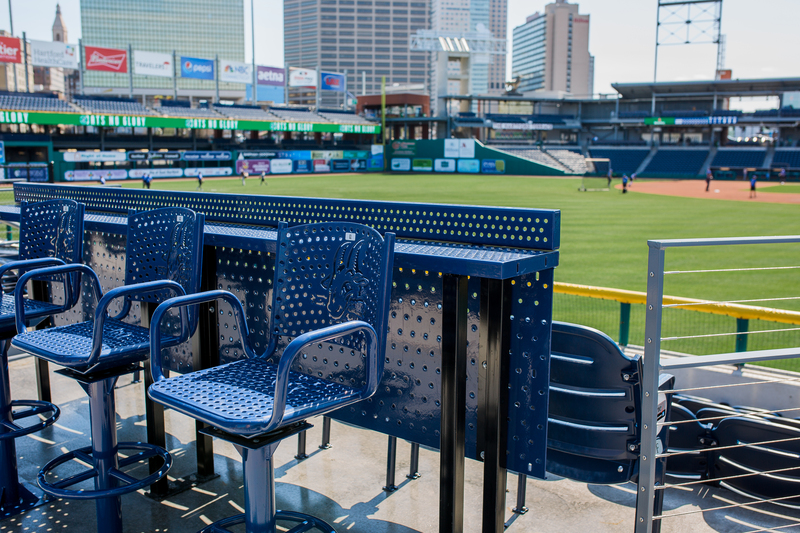 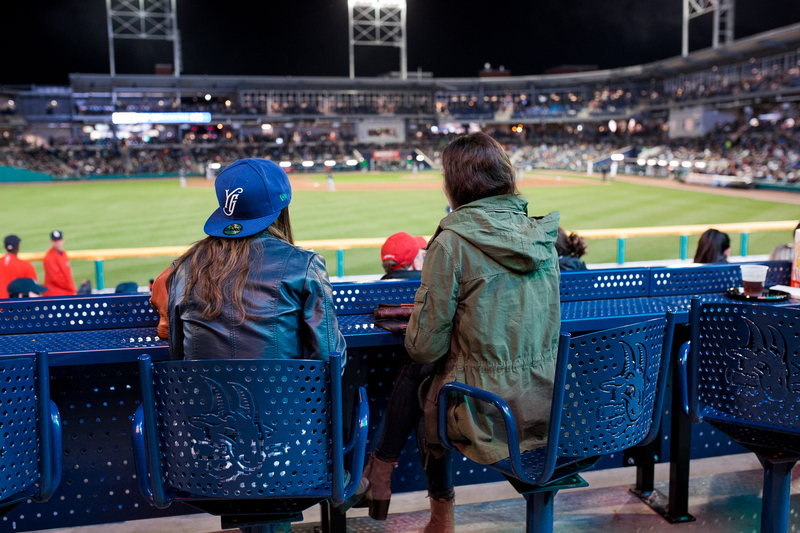 Rather than focusing on maximizing the number of fixed seats like most traditional stadiums, our design focus is on maximizing diversity in seating inventory which increases team revenue potential. 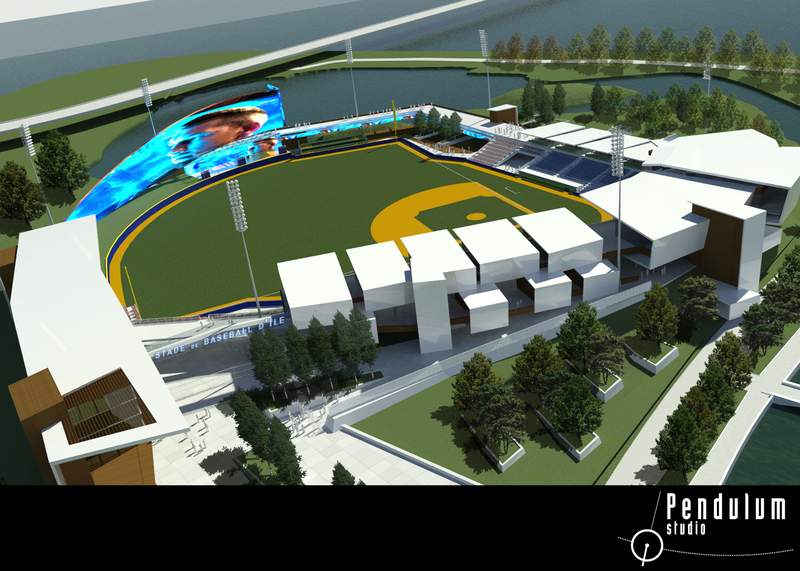 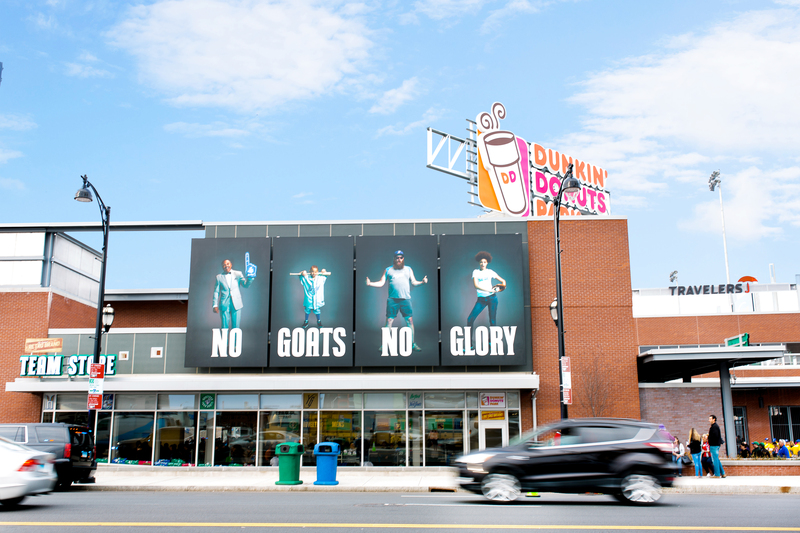 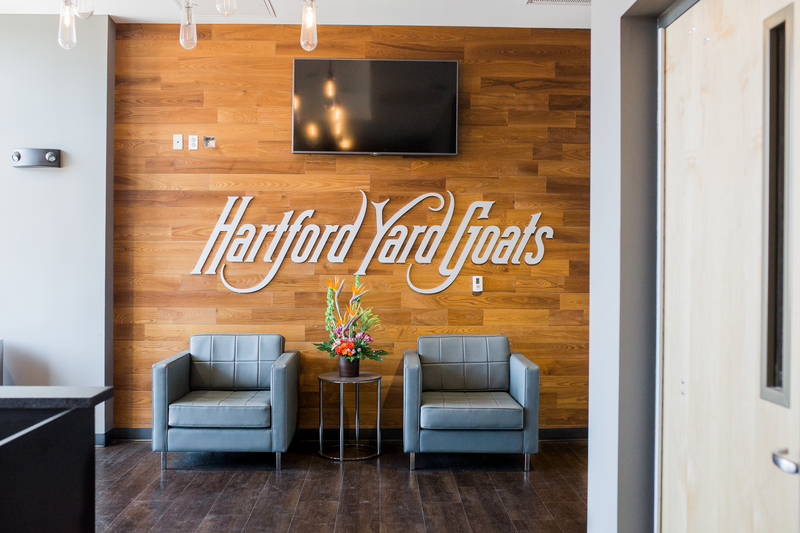 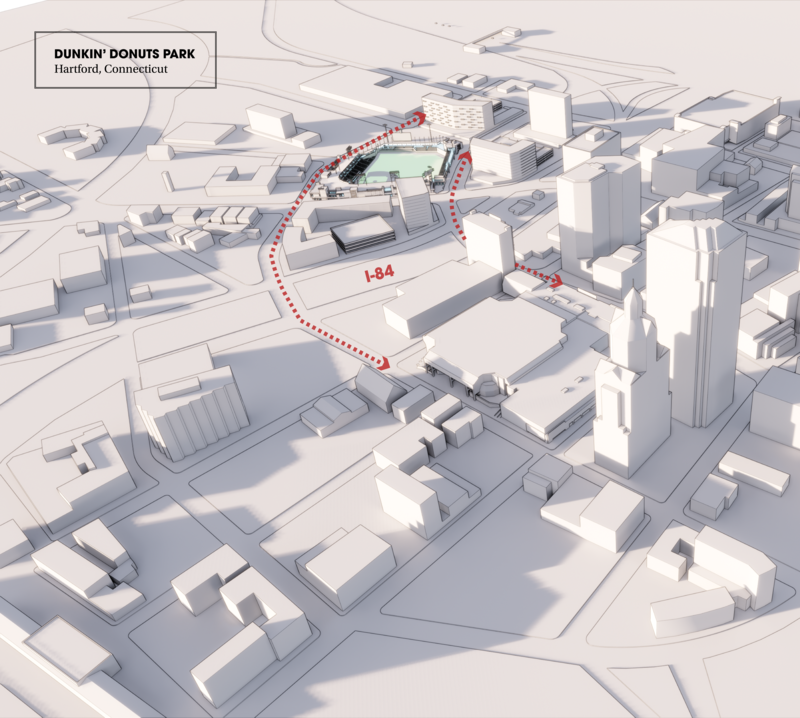 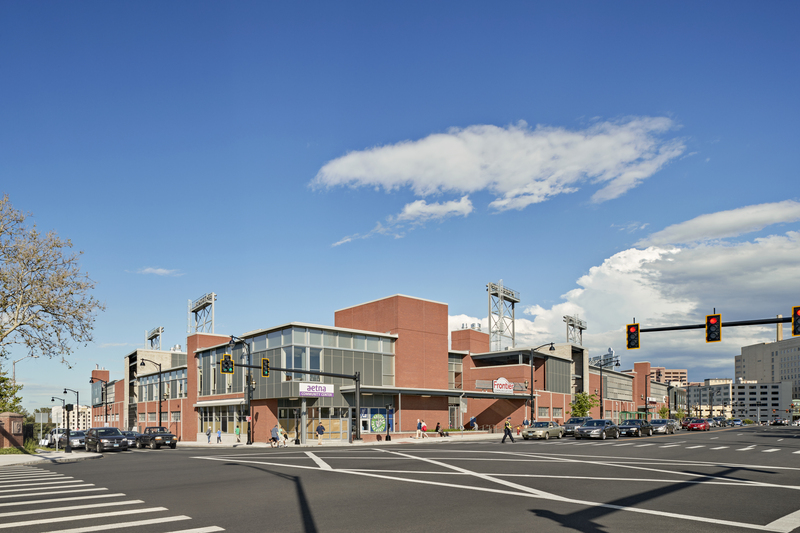 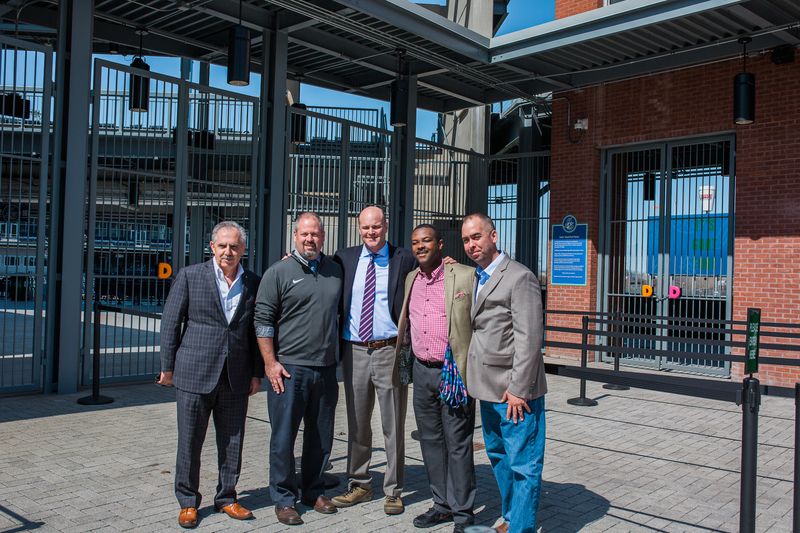 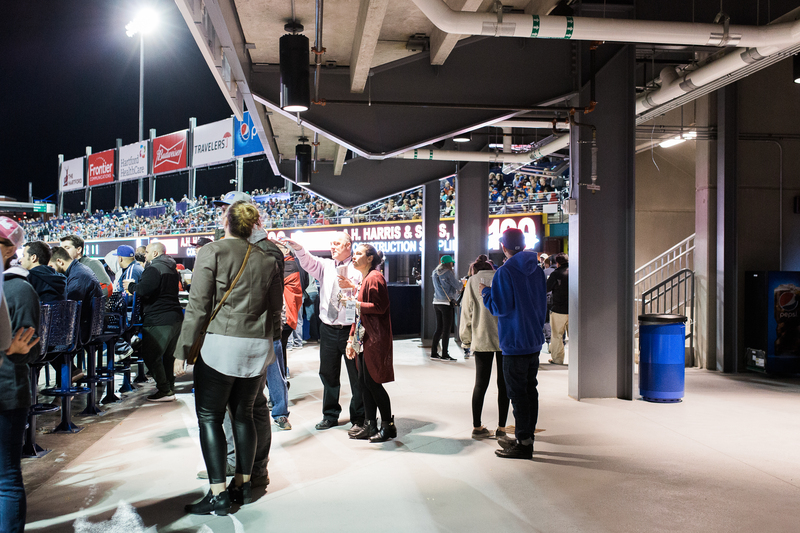 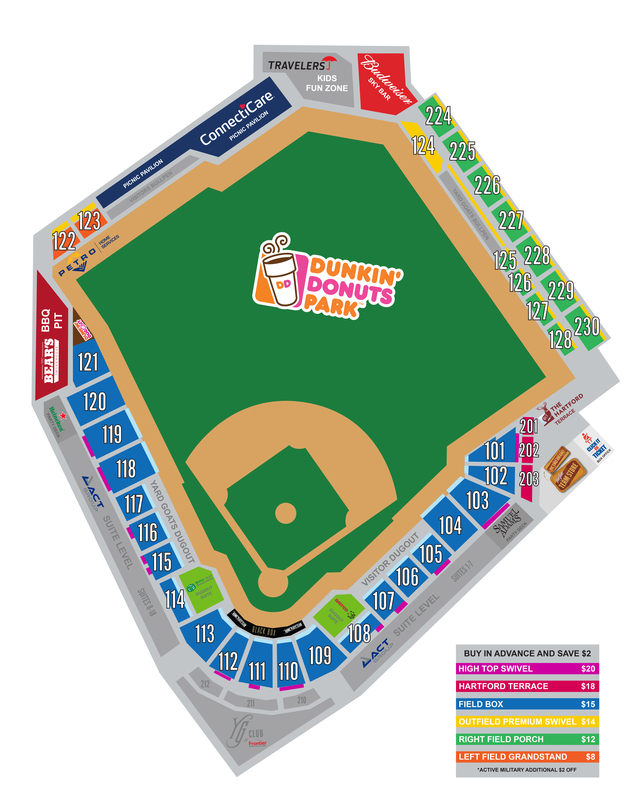 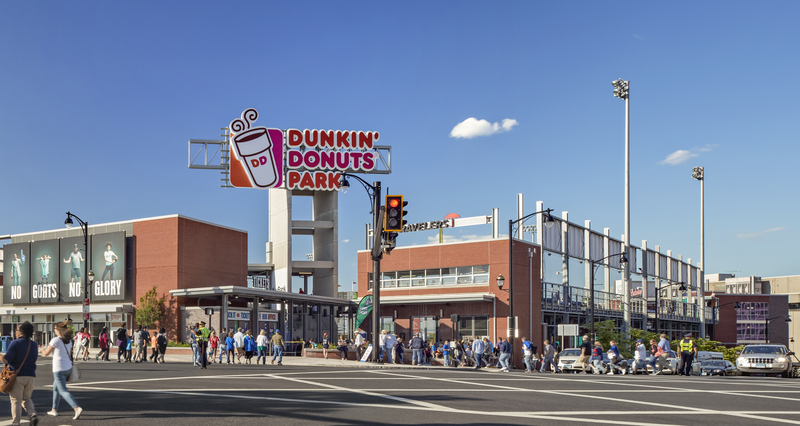 Although we have incorporated a number of traditional ballpark features in our design, our site specific and contextual approach to this ballpark makes it far from cookie cutter, it will be one of a kind.